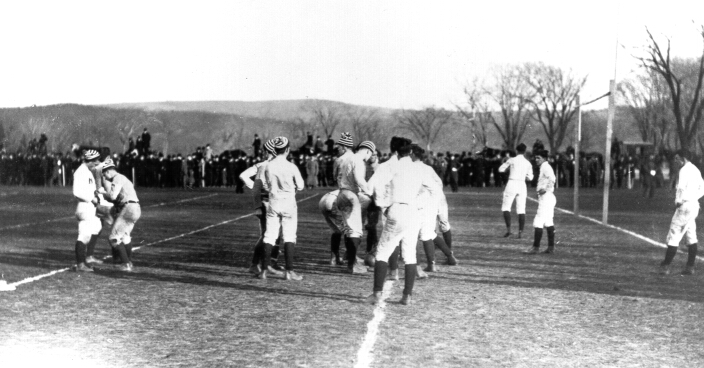 At West Point, in New York, on a crisp November 29th, 1890, the U.S. Army and Navy cadets went head to head, literally because they didn’t wear football helmets back then. They did wear striped knit hats that looked like one Waldo wears in the book, Where’s Waldo. Anyway, the 1890 game was the first of many battles between the branches in what eventually grow into a distinguished list of Football’s unique, but great rivalries. Between the two teams, the Navy’s always bragged its long history with the game, but the Army has proven a worthy opponent on the gridiron. The rivalry begs the question, when did it all begin? Each side owns their respective taunts for fanning the flames over the years, but it was a man named Dennis Mahan Michie, native to West Point, who takes credit for starting the fire. It took a little negotiation to pull it off, but once they sorted out the logistics, it was on. For some, the Army-Navy game is the only true football game every year. That may be true, but it’s definitely one of the oldest rivalries, making it one of the best to watch. 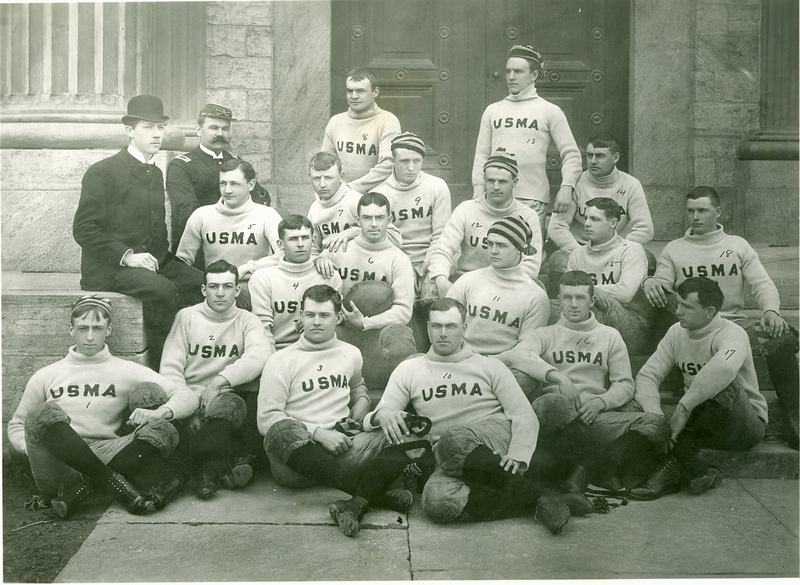 In 1879, the Navy established their football program. For some perspective, that was only fifteen years after the end of the Civil War. Since then, all but the 1880-81 season, they’ve had a football team. This was well before the Army’s program started, but we’ll come back to them. 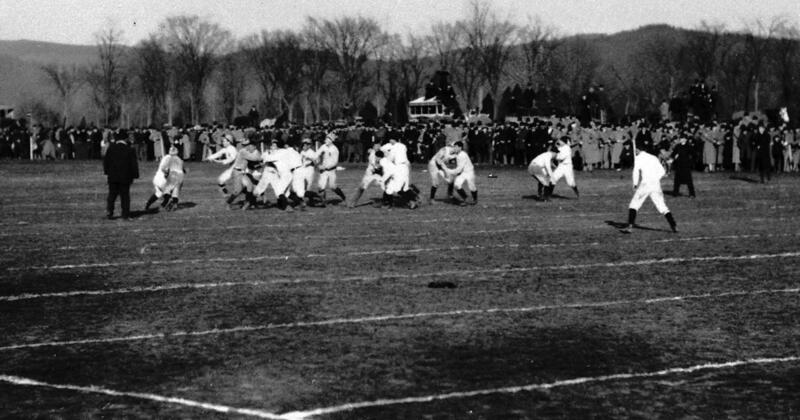 The Navy was on the ball, they had one of the nation’s earliest football programs. First classmen, J.H. Robinson started it as an off-season development program for the Academy’s baseball team. At the time, football as fans knows it today looked more like soccer than football. 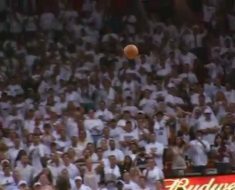 To advance the ball, players had to kick the ball. At first, they had to play early and late in the day. People considered football a dangerous sport, which was a fair assessment, but that meant the school’s superintendent had banned it. Apparently, he was unaware of the formation of a team. December of 1878, the Navy first played a game, not against the Army, but the Baltimore Athletic Club. The Baltimore team was players from Ivy League schools like Yale, Princeton, and Johns Hopkins. It was not a pretty game, played with Rugby’s rules, and resulting in no points scored by either team. Still, it was good training. Had the Navy not challenged the Army to play in 1890, the Army may not have formed the Black Knights so soon. It was at the insistence of Michie they got their act together. There were only two cadets on the Army team with any football experience, Michie and Leonard Price. 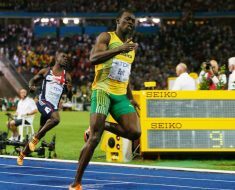 The problem wasn’t only that the Army’s team didn’t have repetitions with the ball. They didn’t know the rules. During their first game, the Navy scored a point on a fake punt, which the Army protested in ignorance. It was a legit play, but they’d been caught with their collective shorts down. One thing was for certain; the 1890 game would be the last time the Army came unprepared. Not to get too far ahead, but they lost the first battle. While it may seem the Navy held all the cards, the Army was not that far behind. Football was so new, it wouldn’t take long for anyone to catch up to the most experienced team. Also, they played on the Army’s home turf, West Point. 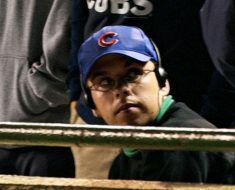 Michie did his level best to assemble and train a team in time for the game, but their success would fall mostly on his shoulders. The game was civil but about as messy as that first game between the Navy and the Baltimore Athletic Club. It was an “internecine struggle,” according to the New York Times, meaning the destruction was mutual. There was fighting, of course, and dirty plays, but nothing went beyond what folks considered normal sportsmanship of the day. A few players limped away with injuries in the end, but nobody died, which was a real problem in the early days of football. One player from the Army team took several hits to the head, and after the fourth, he went down and didn’t get up. They had to carry him off the field. He stayed unconscious for 13 days in the West Point infirmary. The uncivilized part of the game was the crowd of onlookers, who shouted for blood the whole game. Nonetheless, when it was over, they all made nice and even attended a formal dance together later in the day. The Navy won, 24 to 0. 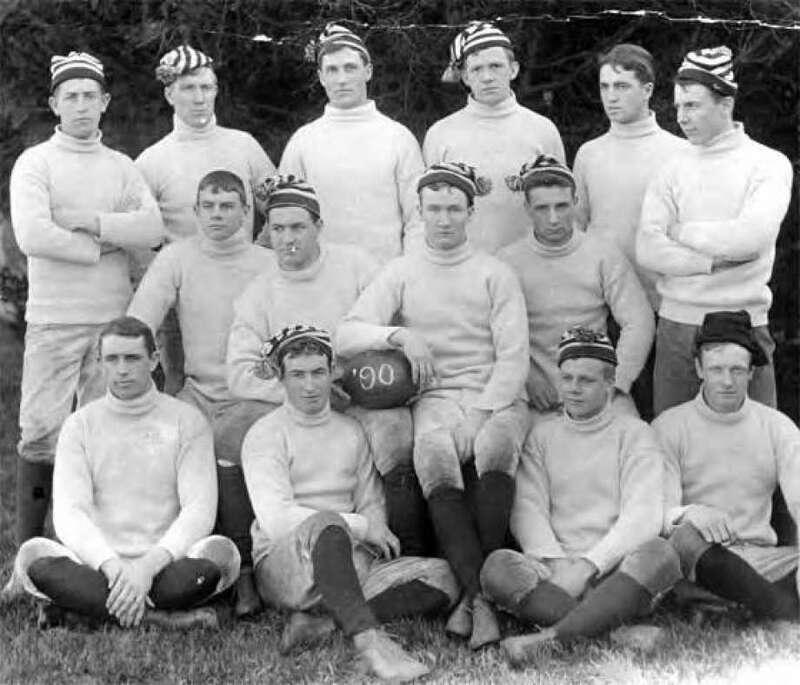 In 1891, after a year of training, with Michie still on the team, the Army came back to beat the Navy in Annapolis, Maryland, 32-16. That cemented that the pair would rival forever after that. The Navy would take the next two games, but every year they would both meet again to battle for the title. The Air Force joined the fun in 1955, but that’s a story for another blog.